Watch as your little one moves about. The camera pans up to 270 degrees side-to-side and tilts as many as 47 degrees up and down. Need more detail? The camera zooms up to 1.33 times. 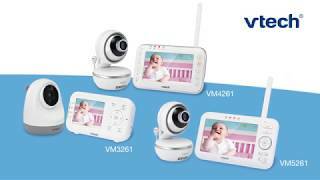 The 170-degree wide-angle lens captures your little one as they crawl, play and explore around the room. When you want to change from a normal to a panoramic view, simply attach the wide-angle lens to either camera. Two-way, talk-back intercom Sometimes all your baby needs is to hear the sound of your voice. 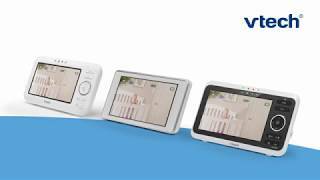 Comfort your infant from any room with the built-in intercom on the portable parent unit.